Personally, I love Christmas. I always have. My husband thinks it’s funny that I invest so much time in decorating our house, especially since we leave town for the holidays. But I can’t help it, otherwise this time of year can be awfully dreary without something to look forward to. I think it’s magical when you can capture the holiday spirit in a wedding, party, or just in decorating your home. 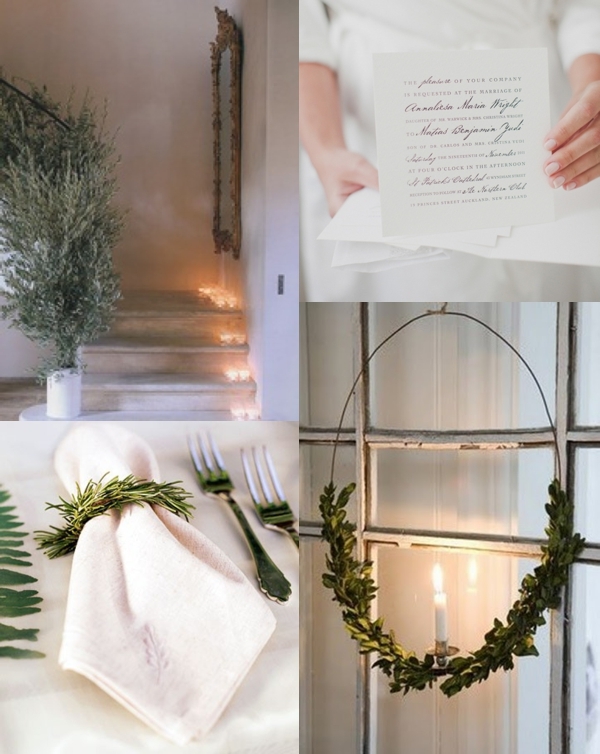 This year, I’m particularly drawn to warm whites and fresh greens for the holidays because simplicity is beautiful!